This topic contains 23 replies, has 18 voices, and was last updated by Conrack November 30, 2018. We need your help! As Chris mentions in the second episode of The Rune: Recap, we’re interested in what kind of modding support you guys would like to see in the game. We can’t make any promises at this point, but we want to know what’s important to you as we evaluate if, and how, we can incorporate modding into Rune: Ragnarok. Comment below with your modding hopes and dreams. Support to make our own levels. Support to make our own player models. Support to edit game modes to create our owns like the old school headball and capture the flag. Of course as technology advances modding becomes a bit more complex than back in the days of the original rune. An editor of sorts where you can insert pre-made assets such as buildings, player models, trees, caves, etc would really help. This doesn’t need to be necessarily thrown out when the game comes out but perhaps as an update after the game releases and you get more feedback on the game itself. Own maps would be awesome (sounds weird in an open world game) but I think for PvP it is great but i also can imagine how cool it could be making a dungeon that fits in the open world environment just to fight your way through it with some friends. Another thought in my head is about the game modes/rules it would be nice to have this like modules that you can choose from. A simple example would be CTT usually it is team based but you could choose to make it a deathmatch game. Even more creative it would be if for such modes the goals could be adjusted like instead of a Torch you need to find a specific weapon and not just one of it but lets say 5 different ones. This gets very complex very fast and I do not think that such a system is necessary for a good game, but it would be fun. And who knows if you play around with the idea you might come up with a new unique gamemode. Also in the video Chris mentions that taunting is comming back. Thats awesome! In original Rune I replaced the taunting sound with some viking laughter and i did mention the Overwatch voice lines before @ the “mute player topic” it would be nice not only to have different taunt-movements but also voices like laughter, battle cry, a poem or even recording your own voice that goes with the taunt. Thank you confirming the existence of player servers in the latest recap. That sounds incredibly exciting. As for modding, I’ve done a fair share of skin and custom level editing in the past, so being able to do both at a minimum (at least for user-servers) would be great. 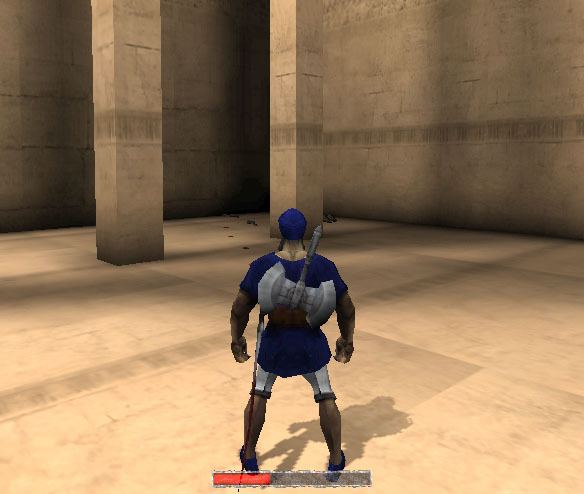 But looking back at Rune, noting mods like JetVas, TweakedRuneRacing (i.e., flight combat) and Assassins and MKP (my two personal favorites, the former being arguably the most ambitious project; the latter introducing a leveling system with bolt and bomb mechanics), the possibilities were endless. 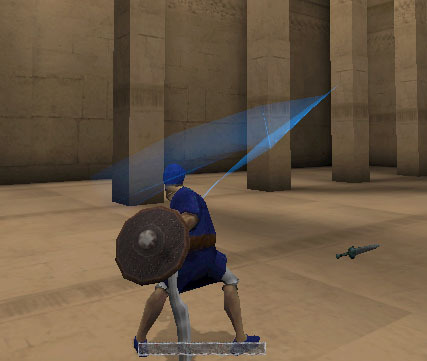 Onaga’s co-op mod, alongside the multiplayer version of Rune’s original single player game, also added infinite replay value to the game; and all of this came by virtue of the Rune editor’s simplicity and breadth. The editor allowed us to change skins, maps, models, taunts (by adding sounds in), weapons, AI settings (through the class editor), effects, and allowing us to add co-ops and entirely new gameplay types and combat mechanics. This boundless creative freedom, embodied by an easy to use and expansive editor, is exactly what I believe would be ideal for Rune Ragnarok. As far as the original’s mutator system goes, however, I’m not 100% confident that it’s the most optimal way of using mods and hosting servers with mods, but I can at least say that it did its job well in the original (though others may disagree). As an important side note, one of the best parts of the original rune was in-game Admin console commands, where besides summoning creatures and objects, you could change models’ drawscale, opacity, color, AI, and effects all without relying on the editor. Being able to edit in-game actors with the same commands and complexity that was offered with the editor made for arguably one of the best guilty pleasures of the original Rune, one that not many players often draw attention to. if you enable rune editor and along us to code that would be great for the community and will help expanding . as for the movements just as long your not back peddling like your running forward like quake . is going to be absolutely necessary to reproduce the success of the prior Rune’s multiplayer community support. There are still servers out there… and names on this forum from fifteen years ago… and that’s because the community could continually produce it’s own fresh content and keep the game novel. Realistically, though, there is no such thing as too much capacity to mod. Truly would not be the same Rune if custom maps and skins weren’t a part of it. Also admin login for private servers 😉 Oh how I miss the old days. Custom maps, and most of all being able to add your own character models. Also being able to create scripted level sequences with custom audio and animations would be awesome. I remember it was a mission back in the day, but with a “LOT” of help on the old forums I was able to get my own custom character in, i still have the screenshots below from around 2005-6. Freedom to fully create our own custom createable player character in Rune: Ragnarok the video game officially please Devs! I’d like to be able to create a server mutator that removes all “RPG stats” from items and “equalize” multiplayer gameplay, making items only function according to whatever mechanic they enable (like in Rune Classic). Combine that with looting your dead enemies and Rune will be perfect. I really think this needs to be handled in the ‘dev’ area for the purposes of it being ‘standardized’, But we’ll see how everything shakes out. Would be great if you can edit maps and play them coop!! The coop mod to play Rune Classic with my dudes was just amazing. This game is coop driven. Your not going to need to mod anything for that. Full modding support is always great because it just extends the life of the game tremendously. I’m not sure what that means for the developers, but that would be my preference. I would ultimately be happy with modders being able to at least modify characters and assets in the game. I know a lot of focus has gone to multiplayer over the years, but if you look at any recent game that neglected it, you can see a strong portion of the community begging for a good single player experience. I personally prefer single player since I often game with no connection and just can’t devote time to “getting good” like I used to. I would greatly appreciate a full single player experience with full bot support. At a minimum, just make sure the open world is playable alone. The campaign can be played completely solo and offline. Thanks, all. We’re making note of your requests to see what we can do. Keep ’em coming! BUMP: Are there any other modding requests? While we might not have mod support initially, we are very interested in adding it down the road. This isn’t exactly modding per se, but I would love to be able to customize the game experience, ala Unreal 1-era titles, and adjust the variables on damage, gore, physics, respawn times, weather, etc… Giving the community access to some of those features via a relatively straight-forward front-end would produce some hilarious modes and help sustain engagement post-release. Cool! I’ll pass this along. If people is able to make these adjustments and additions i’m sure that you will be guaranteed a large number of players, of course the game itself should have a solid base to build around it to get people interested in modding first. There are singleplayer games like skyrim that are popular to this day in part because their devs provided players with tools for modding, that game in particular it’s still making profit because of that single reason, mods, you should check the nexus page of skyrim and see it for yourself, and theres even more mods in asian and other foreing sites. And of course the game got a lot of attention before its release for beign an TES game, but it has lots of bugs and unfinished stuff, i can tell that a large part the sales wouldn’t pass 2014 if mods didn’t exist, the special edition and nintendo switch release wouldn’t even be an idea. adjust some weapon values and the npc behavior for example. You have good potential, i have to remark that the landscape and the gear looks nice already and you could build a huge community if you take the opportunity and do things right in this matter. I am from Russia, 24 years old.I started playing Rune from the very beginning of the game when I was 8-10 years old.Since then, the game has passed 100 times, without exaggeration! I understand then what this game has gathered its fans.It’s the atmosphere(Absolute darkness which was gloomy,the real threshold of the end of the world,the game was brutal and took its surrounded by enemies.) Elaborate and interesting levels (there were 350 tips that would know where to go what to destroy that would go on, running a couple of hours trying to find a way out 😀 , scary castles where it was really scary sometimes,if I do not change the memory of the true bright sky in the game Rune we saw when we came to theIt was interesting to pass the game on) . Cool storyline (there were cool dialogues story characters that are now very RARE in games, they allowed greedily absorb the plot which was very well developed) Are the main aspects of this wonderful game….Of course it was only 2000,a lot of restrictions and a completely different audience.But she could play any student or adult, my dad even played it 😀 .Now 2018, the kids give craft, graphics, survival,and that it was all in a joint mode, there were 250 tips on what to do and where to go.By this I do not wait for the Rune which captured all of us in those days its grim atmosphere.Good luck HumanHead studios you have a lot of difficult choices and work. Я из России, мне 24 года.Начал играть в Rune с самого выхода игры мне тогда было 8-10 лет.С тех пор, прошел игру 100 раз,без преувеличений! Я прекрасно понимаю чем тогда эта игра собрала своих поклонников.Это атмосфера(Абсолютный мрак от которого было мрачно,самый настоящий порог конца света,игра была брутальна и захватывала своим окружением мрачных мест.) Проработанные и интересные уровни(Не было 350 подсказок что бы знать куда идти что разрушить что бы пройти дальше, бегаешь пару часов пытаясь найти выход 😀 , cтрашные замки где было правда страшно порой,если мне не изменяет память истинное светлое небо в игре Rune мы увидели когда вышли в царство гномов.Было интересно проходить игру дальше) . Крутая сюжетная линия (Присутствовали крутые диалоги сюжетных персонажей что сейчас БОЛЬШАЯ РЕДКОСТЬ в играх,они позволяли жадно впитывать сюжет который очень хорошо был проработан) Это главные стороны этой замечательной игры….Конечно это всего лишь был 2000 год,много ограничений и совсем другая аудитория.Но в нее мог играть любой школьник или взрослый мой отец даже в нее играл 😀 .Сейчас 2018 год,школьникам подавай крафт,графику,выживание и что бы это все было в совместном режиме,было 250 подсказок что им делать и куда идти.По этому я не жду ту Rune которая захватила всех нас в те времена своей мрачной атмосферой.Желаю удачи HumanHead studios вам предстоит много сложного выбора и работы. Option to start a server without weapons breaking or needing repair!